We’re made up of local business, professional and civic leaders. We meet regularly, get to know each other, form friendships, and through that, we’re able to get things done in our community. The Rotary Club of Rancho Bernardo meets Thursdays at Noon and on the second Thursday of the month at 5:30 p.m. at Bernardo Heights Country Club, 16066 Bernardo Heights Pkwy. San Diego, CA 92128. A buffet meal is served. Meetings feature programs by noted experts on a wide range of topics. 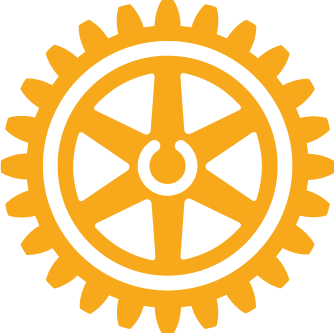 Rotary Club membership is open to those who hold or have held decision-making positions in a business, profession, or community service organization, and who wish to join with like-minded leaders. For additional information, please e-mail rbrotary934@gmail.com. Witches, vampires and an inspiring story! 5.41 TONS, to be precise! Rotary Club of Rancho Bernardo turned out as volunteers to assist Boys and Girls Club of San Diego's annual Summer Games. While their length of membership is vastly different, Rancho Bernardo’s two new Rotary presidents have something in common — both were invited to join by a friend. This week's Rotary International Convention in Toronto, Canada is a wrap and it's safe to say it was one of the best ever! We had the culminating event and biggest party of the year on Thursday night at the "Demotion Party" where we bid farewell to 2017-18 President Mike Fuqua and welcomed to office 2018-19 President Doug Dawson. We have a passion for literacy and supporting education! Thank You to RB High Interact Club Members for your help!! Thank you to Toby and Anne Westbrook for hosting at your home!!! Last month, over 30 members of the Rancho Bernardo Rotary Club attended the dedication of the new Abraxas Orchard in the school’s Community Garden. Rancho Bernardo Rotary recently donated 14 fruit trees to the garden. The Abraxas High School garden is expanding to an orchard, thanks to a donation from the Rotary Club of Rancho Bernardo. Six New Members Welcomed to Rancho Bernardo Rotary! "You could imagine [it was] a very traumatic time for everyone," Karen Stelman of the Rotary Club of Rancho Bernardo recalling the devastation of the Witch Creek fire a decade ago. Partnerships with local high school Interact clubs provide experiences for youth to become involved in service. Rotary Club of Rancho Bernardo Starts Rotary Year with a Bang! The Rotary Story Comes to RB Alive! To Everyone that participated in bringing in hygiene kit products and/or assembling the kits after our meeting on Thursday. Seven RB Rotarians were present at the ceremonial introduction of the Rancho Bernardo Mud Wagon. Eight New Members Welcomed Into RB Rotary! RB Rotary volunteered at Feeding America Food Bank and joined fellow District 5340 Rotarians at a fun-filled morning and hands-on service project as a volunteer in the Feeding America warehouse. It would be great to have a group of us at this event. The Rancho Bernardo Rotary Club recently presented their annual Scholarship Awards to Outstanding Rancho Bernardo and Del Norte High School Students and two Special Scholarships for Determination and Perseverance in Managing Uncommon Difficulties. Rotarians at Work 2016 - Thank You! Our Annual "Rotarians at Work" project was this past Saturday, April 30th at BOYS & GIRLS CLUB of 4S Ranch, located at: 16118 4S Ranch Pkwy. This project was exciting. RB Rotarians turn a nice size storage room (filled with "Stuff" from the floor to the ceiling - almost!) into a Children's Playroom. It was fun and rewarding to see the end result! Model UN was held this past weekend at the Joan Kroc Institute of Peace and Justice at USD. Rancho Bernardo Rotary Club volunteers Larry Saunders, April Mitchell, Joel Doss, Shirley Napierala, Vern Cook, Lynn Ross, Julia Moluf (Miss RB), Isabella Ortiz (Miss RB Teen), Dee Saks and Gary Saks served up dinner to the families of patients at Rady Children's Hospital. 92128 residents interested in making a difference in local or global communities need look no further than our local Rotary Clubs. Rancho Bernardo Rotary Spreads Holiday Cheer to Community Families in Need by Supporting Poway Unified School District's Adopt a Family Program! Past President (2014-15) Don Glover celebrated his 75th Birthday by bringing awareness to our Rotary Foundation and #EndPolioNow campaign! BIG Thank You to Madelyn Reina and her husband who hosted a TGIX party this past Saturday evening 9/27 at their home. Volunteering is just something the Rotary Club of Rancho Bernardo’s new president said she has always felt called to do. Rancho Bernardo AAUW selected three girls for 2015 Tech Trek. RB AAUW, Rancho Bernardo Sunrise Rotary Club and the Rotary Club of Rancho Bernardo sponsored their camp fees. Happy Rotary New Year 2015-16 ! Thank you once again for your support! Thank you once again for your support and we hope to see you next year! Rancho Bernardo Rotary Foundation '50 For 50' Campaign Final Update & Last Days To Register! WE ARE AT 82 GOLFERS & RISING . CAN WE HIT 100?! Rancho Bernardo Rotarians dedicated several hours on Saturday to sprucing up several locations as part of the 10th annual Rotarians at Work Day. Padres game on April 14th was great fun and very well attended. Our club supplied the most fans of any Rotary Club, 30 in total. In honor and recognition of 50 Years of Rancho Bernardo Rotary Club service to the community, The Rancho Bernardo Rotary Foundation launched the '50 for 50' campaign on March 5, 2015 in support of its annual charity golf tournament fundraiser Fairway to Honor. As part of Rancho Bernardo Rotary’s program to welcome our new members, this past Monday March 23, 2015, the club had a “Fireside Chat” to allow the new members an opportunity to interact with the current Board and committee chairs. It was held at Carvers Restaurant where lively “round table” discussions took place and refreshments were served. In honor and recognition of 50 Years of Rancho Bernardo Rotary Club service to the community, The Rancho Bernardo Rotary Foundation launches the '50 for 50' campaign on March 5, 2015 in support of its annual charity golf tournament fundraiser Fairway to Honor. Increasing their clubs’ charitable service locally and abroad are among two Rancho Bernardo Rotary presidents’ goals. Mayor Kevin Faulconer told Rancho Bernardo “Noon” Rotarians that it is efforts like theirs that help make San Diego a great community. In a nod to the international organization’s motto of “service above self,” Faulconer told them in his opening remarks that it is “great” for their community and the city that they “care enough to get involved and make a difference." Rancho Bernardo Rotarians, SDYS and Rotary District 5340 International Youth Exchange celebrated the 10th annual International Youth Symphony in Balboa Park. Fifteen international musicians joined eighteen SDYS students to create a unique orchestra, comprised of exceptionally talented student musicians led by SDYS Music Director Jeff Edmons. Two weeks of rehearsals and a variety of recitals and concerts were shared with the community. Pictured are Maguy Feghali, Jeanne Hawkins, and Arilla St. Laurent (members), and Dee Saks, Deborah Goodrich, and Barb Crew (spouses) of the Rotary Club of Rancho Bernardo attending the Vista Hill Fashion Show Fundraiser at the Hilton San Diego Bayfront on May 2nd.